Winterreise is a song cycle composed by Franz Schubert with the text of Wilhelm Müller. The blog discusses the text with photos when appropriate. The entry page of “Die Post” composed by Franz Schubert. Thiis first page is in the pubilic domain, since I took it from the Peter’s Edition. This is to demonstrate varied entries given by Schubert. A view of the village of Baudmannsdorf, Poland. The Polish name of the village is Budziwojow. This village was where the signal to the start of the battle on May 26, 1813 was given by torching the windmill there. This was the part of the Liberation War between Napoleon’s France and the coalition of the Prussian and Russian armies. Napoleon was not present in the battle, but he came afterward to the town of Haynau (Chojnow). This view of the village is from the point below the location where the battle monument stands. The first poem in Part 2 is titled “Die Post.” The story of the poem is that the lyric “ich” has a sweetheart in the town, and the lyric “ich” is outside of the town, perhaps in the village. He is waiting to hear from her even though the circumstances of his departure rule out that she would write to him because according to the first poem, “Gute Nacht,” his sweetheart decided to marry someone rich, and he gave up the place to avoid seeing her getting married. I speculate how Wilhelm Müller got an idea for this poem. When he enlisted as an infantry soldier in the Prussian Army in 1813, he was a student at the University of Berlin and not quite 19 years old. He fought battles in 1813, May and August, as an infantry soldier. He fougt in four battles, and the third battle was outside of Chojnow. Müller did not have any sweetheart at that time because if he had one, he might have written to her and there would have been some written evidence of letter exchange. As far as we know he did not have any girlfriends when he was participatig in the battles. However, there were many young men fighting with him, some of whom must have left their sweethearts and wives at home. This would give the backgrounds to the poem “Die Post” because Müller must have seen the Post delivery to the battleground when some of his fellow soldiers did receive letters. Let us look at the music, particularly the first page. I think that the music of “Die Post” is rhymically varied from the very beginning. The voice enters on the 9th measure. It is unusual in that it does not begin on the upbeat. The rhythm is 6/8 and Schubert emphasized the dance beats of oom pah pah in the measure, and had the voice enter on pah pah. Perhaps he wanted to emphasize the word Straße or Müller’s beginning two words affected Schubert’s voice. The second and third entries of the voice are a typical upbeat, but the last entry is on the second beat, which emphasized the word “mein” and “Herz.” Schubert repeated the words, “mein Herz” three times, thus emphasizing. When we look at the piano part of the song, it is clear that the left hand mimics the horses and the right hand mimics the posthorn. You can hear the posthorn by listening to the right hand melody. The voice depicts the heart of the first person, the person who tells about the experience of waiting for a letter in vain. Chojnow, located in the lower Silesian area of the current Poland, was a small town at that time, but on the important east-west highway linking Dresden and Breslau. That might be why there was a battle here between Napoleon’s France and the coalition of the Russian and Prussian armies. The French army was stationed in the town while the Russian-Prussian coalition was mainly south of the town, in many villages. For the Prussians, which was led by the general, Gebhard Leberecht von Blücher, it was important to know what the French army was up to. For this reason, I imagine, those in the villages were waiting to hear from the town, and the post delivery might have included the update on the French position and how they were preparing for the battle. The model of the town, Haynau (Chojnow) in the 19th Century. This model is displayed in the Regional Museum (Muzeum Rgionalne). The town is located in the lower Silesian area. The crossing of the Rhine at Kaub, Germany in the winter of 1813/1814 took place as the Prussian Army, under the direction of General Blüher, pursued Napoleon and his troops. My name is Johann Ludwig Wilhelm Müller. I was born as the sixth child of a tailor, Christian Heinrich Leopold Müller and his wife Marie Leopoldine in Dessau, Germany. By the time I was three, I became the only child of my parents. I vagely remember the funeral of the last of my five siblings to die because I was only three. I did not have any more playmates after that at home. Another sad incident in my life was the death of my mother. It happened when I was 14. My father remarried one year later to the daughter of a meat shop owner because my father wanted to give me an education. I grew up in the Jewish neighborhood although my family was Christian. It was because my father was poor. I heard different accents from the German I learned at home and in school in my neighborhood. The street where my father’s house used to stand is the Steinstraße within short walking distance of the Mulde, a river flowing into the Elbe, and in the neighborhood nearby there was a Jewish temple. As a result of my father’s remarriage, my father was able to send me to the University in Berlin in the beginning of July, 1812. I was 18 year old at that time. However, shortly after my arrival at the University, the Prussian King, Frederick William, declared war against Napoleon. This was a significant shift in that the Kindgdom of Prussia decided to break away from Napoleon’s France. First, we need to understand the historical background of the war development before I tell my own experience during this war. I am not going to write a long history of how Napoleon became an emperor in France. I need to tell you briefly what Napoleon did to my country of Prussia. We had learned in school that Napoleon defeated the Russian and the Austrian troops under their emperors at Austerlitz (located southeast of Brno, Czech Republic) in 1805. This meant the Holy Roman Empire was dissolved and he added Germany and Italy to his empire centering in Paris. We should note that Prussia was not the part of Germany he added. In 1806, however, there was a battle between France under Napoleon and the Hohenzollern Prussia. In this battle King Frederick William III had to flee with his family. However, this defeat has led to a reform in the military organization of the Prussian Army. But we know that the Franch Army under Napoleon went to Russia and had to flee facing the severe winter in Russia. This Russian disaster by the French enboldened the Prussians to wage a war against France (Befreiungskrieg). In English it is called the War of Liberation. I was one of the volunteer soldiers because we all wanted to get rid of Napoleon. My first station was Großgörschen (May 2, 1813). This was a battleground southeast of Leipzig. This battle was fierce and many soldiers lost their lives on both sides. This was where I lost my Dessau schoolmate, Ludwig Bornemann. I was really shocked by this loss. I sort of knew that the battles meant killing and being killed, but when it happens to your close friend, it is still shocking. Then came Bautzen (May 20/21, 1813), Hainau in Schlesia (May 26), and Kulm in northern Bohemia (August 29/30 1813). All of the above places were battlegrounds, and then I was assigned to a depot in Prague (Fall, 1813). My last station was the commander’s office in Brussels (1814). By the time I was assigned to Brussels, I had become a liutenant. Reaching Brussels required that the Prussian Army crossed the Rhine. It was the first of January, 1814 at Kaub (current spelling Caub) which is near Lorelei. It was a difficult crossing because the ice on the river was very slippery and the surrounding area was covered with snow. Yes it was 1814, the year before Waterloo. Not so many people realize that Waterloo is located just south of Brussels. In my time, Brussels was a small place bordered with the huge Sonian Forest. Waterloo is located southwest of the Sonian Forest. The Prussian Army camped there in the Forest in 1814. Because I studied Philology and learned modern English at the University, I was assigned the task of going into the Wallonian territories where they speak French because I was good with the languages. Yes, I was a spy. I walked into one of the villages directly south of the Sonian Forest. Winterreise with Photos: What is the Lindenbaum? 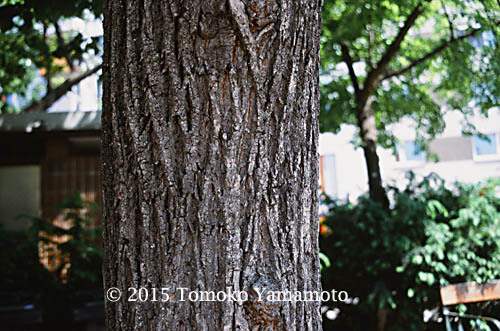 A close-up of the trunk of Sommer-Linde to show how the bark looks like. Tiliaceae belongs to flowering plants, Angiosperms. The blooming time of these linden flowers depend on their locations, but in Vienna, Sommer-Linde bloomed in May this year. 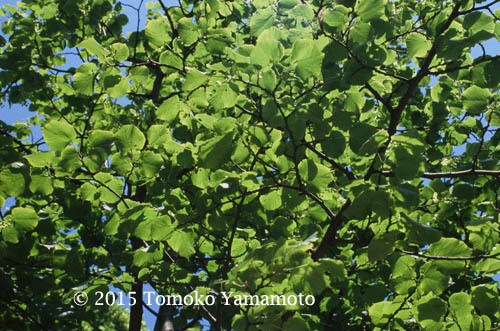 Since there are many trees with green leaves before the buds are formed and in turn bloom into flowers, which are distinct for each family of blooming trees, in order to distinguish the linden tree from other trees with green leaves, I have added photos to show their characteristics. 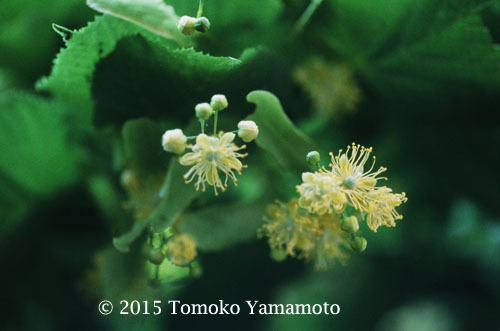 The flowers of the linden tree are made into tea and, with the help of bees, into honey. Therefore, there is a distinct fragrance associated with this tree. The other known use of the linden is to use it as wood, for fine carvings, fine furniture, etc. Wie lieblich war der Lindenduft! Wie lieblich ist der Lindenduft! The poet Wilhelm Müller was born in 1794 in Dessau, Germany. His birthplace used to be on Steinstraße. This photo shows the real vicinity of Steinstraße and Schloßplatz at which the Schloß, castle, is located. 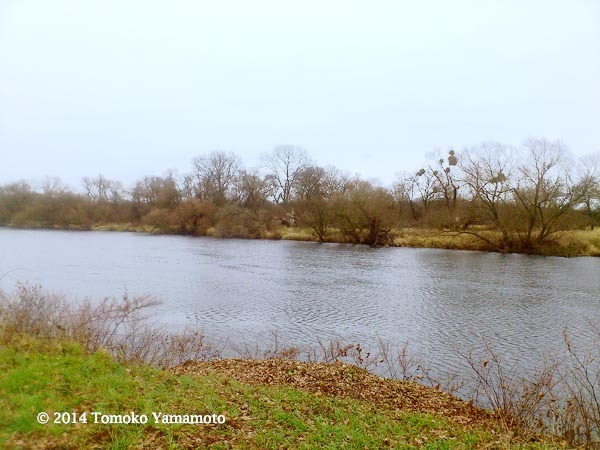 The Mulde flows by the downtown Dessau and joins the Elbe north of the downtown Dessau. Click the image above to get a larger view. Wilhelm Müller was born in 1794 as a son of a poor guild tailor in the town of Dessau, Germany. Dessau became the fixed residence of the family of Prince of Anhalt-Dessau in 1471. Because it was a small town, the physical distance between the poor guild tailor’s house (probably near 19 on the Steinstrasse) and one of the ruler’s castles (indicated by Schloss) was small as seen on the map below. The area shown on the map was called “Sandvorstadt” where the Jewish residents lived although Müller’s family was not Jewish, but Protestant. 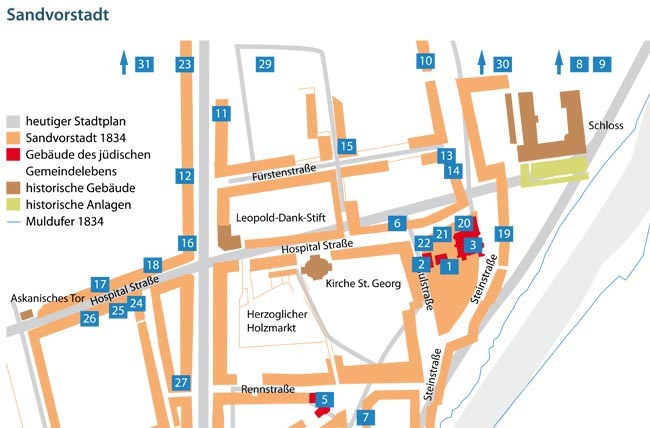 The map of Sandvorstadt in 1834 shows the history of the Jewish community in Dessau and in particular we note that Moses Mendelssohn (6) and Kurt Weil (7) were born there where the numbers indicate the birthplaces of these two. Der Plan, Historische Orte jüdischen Lebens in Dessau, “Sandvorstadt,” zeigt das Ufer des Flusses Mulde 1834 im Blau und den heutigen Stadtplan im Grau. Es notiert daß in der Nähe vom Schloss und von der Nummer 19, war der Fluß damals zweimal breit. Der Plan zeigt die Umwelt des Wilhelm Müllers. Es ist nicht überraschend daß der Fluß wichtig im Landschaften im beiden Gedichtzyklen des Müllers, “Die schöne Müllerin” und “Winterreise” ist. 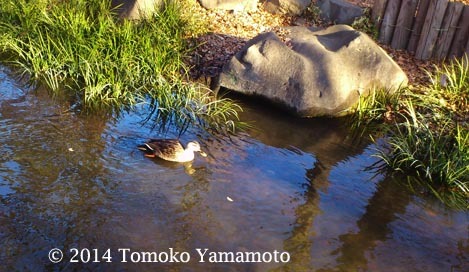 A duck glides along the stream of the Kandagawa in the Kichijoji neighborhood near the Inogashira Park near where the blog author, Tomoko Yamamoto, was born. 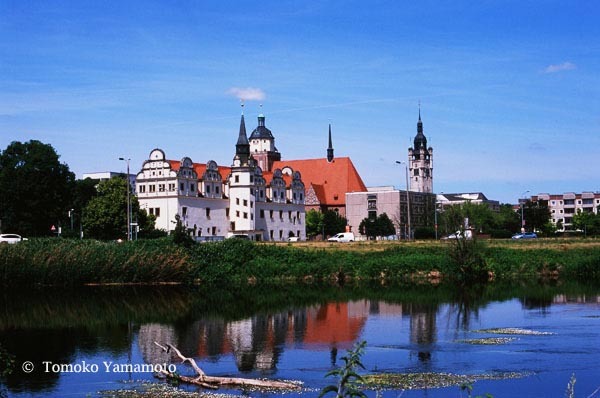 Dessau, Germany has been built along the River Mulde. But the city of Dessau was pretty much destroyed during the air raid upon the city. What are shown in this photo are restored buildings of the Johannbau, the Marienkirche (the red roof), and the Rathaus (only its tower shows by the tower of the church). When I first started learning the songs of “Winterreise” in early November, 2014, I was thinking of using mostly the photos I have taken in the past and adding only new photos in the wintertime because I wanted to have a concert in the spring, 2015. “Winterreise” is a song cycle composed by Franz Schubert (1797-1828) with 24 poems written by Wilhelm Müller (1794-1827), who was born and died in Dessau, Germany. I became interested in seeing Dessau when I learned from Susan Youens’s book, “Retracing a Winter’s Journey, Schubert’s Winterreise” that Müller lived within walking distance of the River Mulde. Later I learned that Dessau was bombed during World War II to ashes, and the only buildings which were rebuilt in their original form were the Town Hall and major churches. Müller’s house was lost forever during the war. Als ich im November, 2014 begann, die Lieder der Winterreise einzustudieren, wollte ich in der schon für Frühjahr 2015 geplanten Aufführung zum größten Teil vor Jahren gemachte Fotos verwenden, dazu noch einige neue, im Winter aufgenommene Bilder. “Winterreise” wurde von Wilhelm Müller (1794-1827) geschrieben und von Franz Schubert (1797-1828) komponiert. Der Dichter ist in Dessau, Deutschland geboren und und ist dort gestorben. Da ich im Buch “Tracing a Winter´s Journey: Schubert´s Winterreise” von Susan Youens gelesen hatte, dass Müllers Geburtshaus einen kurzen Fußweg von dem Fluss Mulde entfernt lag, wollte ich Dessau sehen. Ich las dann jedoch, dass diese Stadt 1945 durch Luftangriffe fast völlig zerstört wurde. Müllers Geburtshaus ist nicht mehr.